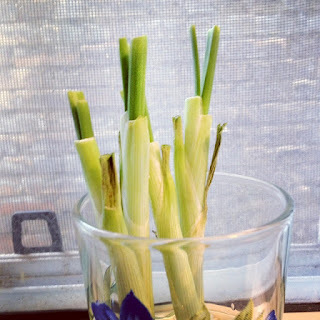 Go Bake or Go Home: My Very Own (Indoor) Garden! My Very Own (Indoor) Garden! I've started my very own garden! And it's indoors of all of places. I'm super excited about this project because it's been a while (too long) since I played a role in growing my food. I read about this on Pinterest a couple of weeks ago and just knew that I had to give it a go. And I finally am! What's this project that I'm babbling on and on about? 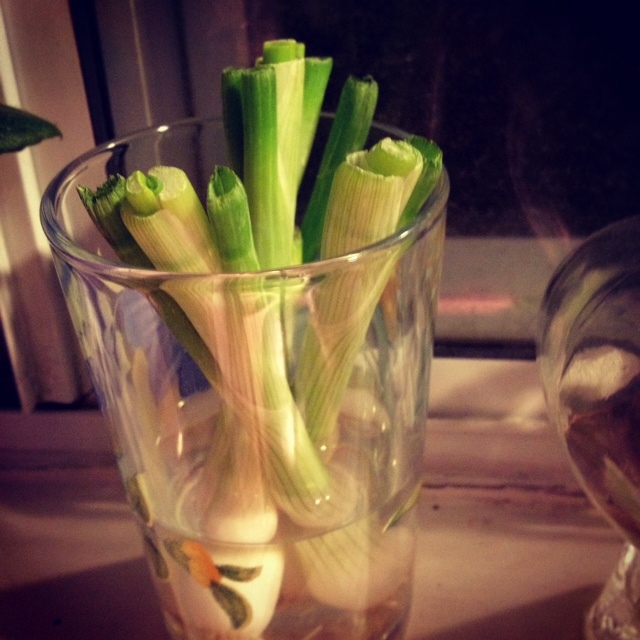 I'm growing green onions in a glass of water! Sounds crazy and impossible I know, but it's the truth. The proof is in the pictures people! The best part of this gardening project is that you can see the fruits of your (kind of) hard labor in just days! 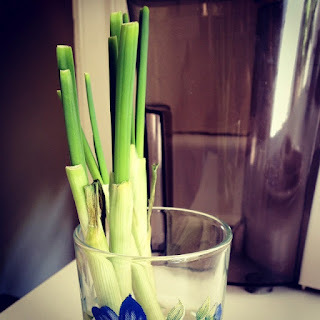 These little onion nubbins are very simple to start- they begin to sprout almost immediately. I am so proud of my little ones! 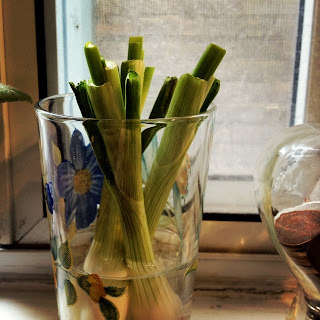 Now here's how you can create your very own never ending supply of green onions right in the comfort of your own magical kitchen! 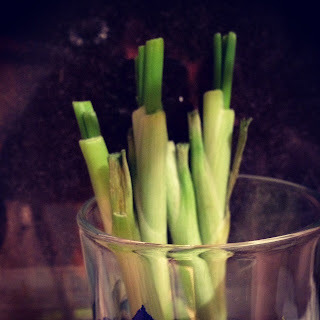 - Purchase a beautiful bunch of organic green onions. - Give them a good wash.
- Chop the green parts off at about 2 to 3 inches above the roots. 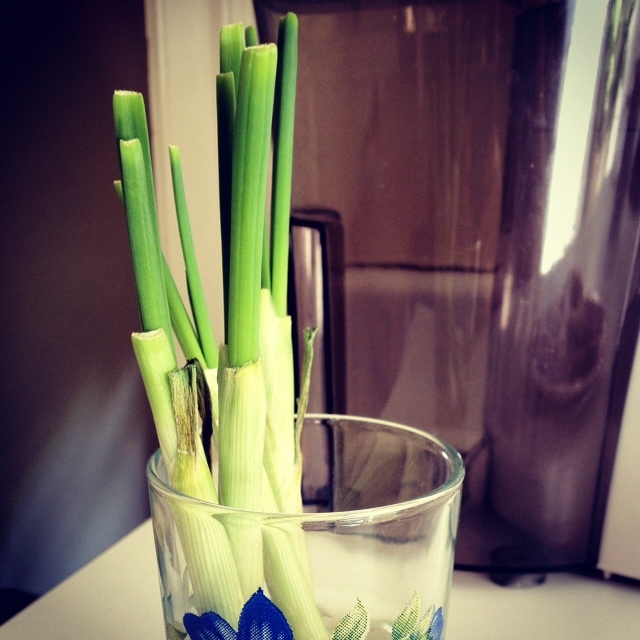 - Stand them up in a glass of warm water and place that glass in front of a sunny window. - Walk away! Just make sure to change the water every couple of days or so. You're all done! Now all you have to do is watch them grown and enjoy your endless homemade tastiness. Forever! I'm also thinking about trying this with celery. Thoughts? 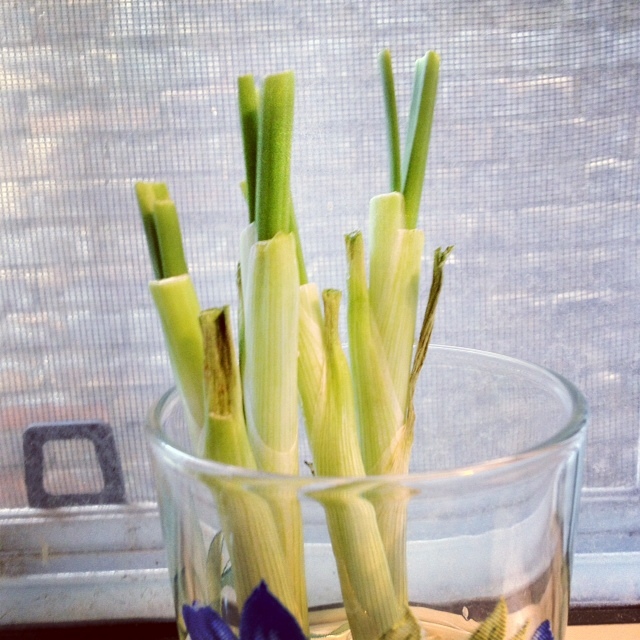 Have any of you ever grown an indoor garden? ?